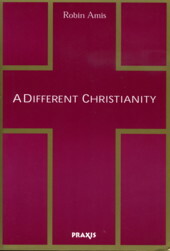 After editing Mouravieff, Ouspensky and Theophan, Robin Amis, director of Praxis Institute, finally wrote his own book, A Different Christianity, the distillation of more than fourteen years of research into traditional sources of the Royal Way, a Christian spiritual discipline little known to the Western world. This work is now available direct from PRAXIS. The book has since been reprinted many times. It is available from bookshops in the UK or USA, or direct from Praxis Bookshop. It forms a valuable guide to the forgotten Christian roots of our own civilisation. In those roots lies the solution to many of the problems besetting the western psyche. From this, the origins of our lost morality can be rediscovered and restored. Another book - The Way of Theosis - is nearing completion. Originally published by State University of New York (SUNY) in 1995, but passed to Praxis and to the Author several years later, and since then its sales have slowly increased.